Have you heard the news? Peter Rabbit is coming to Brookside these Easter School Holidays. Bring the kids to decorate their own pot and plant carrot seeds to take home, plus they can even meet Peter Rabbit. 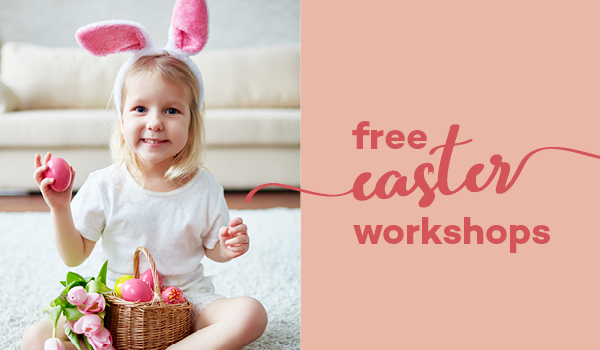 Then the following week, the kids can get crafty at our Easter basket making workshop – perfect for storing little chocolate eggs. No bookings required. Recommended age 3+. Plus, keep an eye on the Brook Rewards App for our $5 & $10 School Holiday food offers, and our Easter Augmented Reality!